As part of its public service commitment, ABS-CBN Foundation International, ABS-CBN The Filipino Channel (TFC) and Balitang America, the leading daily Filipino news TV program in North America, joined hands to work with the County of Hawaii and its designated lead non-profit, The Salvation Army, to help the local Emergency Disaster Services (EDS) in supporting those affected by the Puna lava flow from the eruption of Kilauea volcano in Hawaii’s Big Island. ABS-CBN Foundation International (AFI) has made an appeal on behalf of The Salvation Army via crawlers on TFC on cable, satellite and IPTV. ABS-CBN TFC is the leading Filipino media and entertainment network in North America and in the world. “Hawaii is a state where Filipinos comprise the largest Asian population. Being in the service of all Filipinos, we need to help those impacted by the lava flow and assist those who are helping them within the state, within and beyond the Filipino community in Hawaii,” said AFI Managing Director Jerry Bennett. Through correspondents Steve Angeles and Lenn Almadin-Thornhill, BA has been right where the action is with reports from Hawaii on the eruption and how the community is responding and coping. 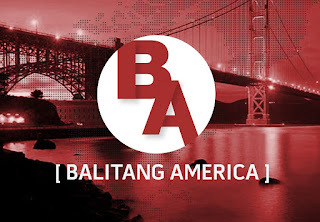 For their video reports, visit the BA website. ABS-CBN Foundation International made a call to all TFC subscribers in the U.S. to donate directly to the victims of the Puna lava flow via The Salvation Army: www.hawaii.salvationarmy.org . Geographically, Kauai is 300 miles away from the volcanic activity; Oahu – where Honolulu, the capital of Aloha State, is located – is 200 miles away; and Kona, the main resort area on the Big Island, is 100 miles away. Emergency Disaster Services [EDS] personnel and volunteers from The Salvation Army are supporting those affected by the Puna lava flow with meal coordination, hydration, and emotional and spiritual care at the five emergency shelters in Pahoa and Keaau including Keaau Community Center, Pahoa Community Center, Pahoa Regional Recreation Facility–Gym, Pahoa Senior Center, and Sure Foundation Puna Church.